What can I say about hummus… it’s yummy, healthy and now I know, super easy to make at home. There are so many variations to suit your taste buds, the possibilities are almost endless. Sweet potato, pumpkin, black bean, sun-dried tomato, roasted rep pepper… you get the idea. I think this recipe is great as is, but if you’re more of a lime person, feel free to substitute lime juice instead of lemon. 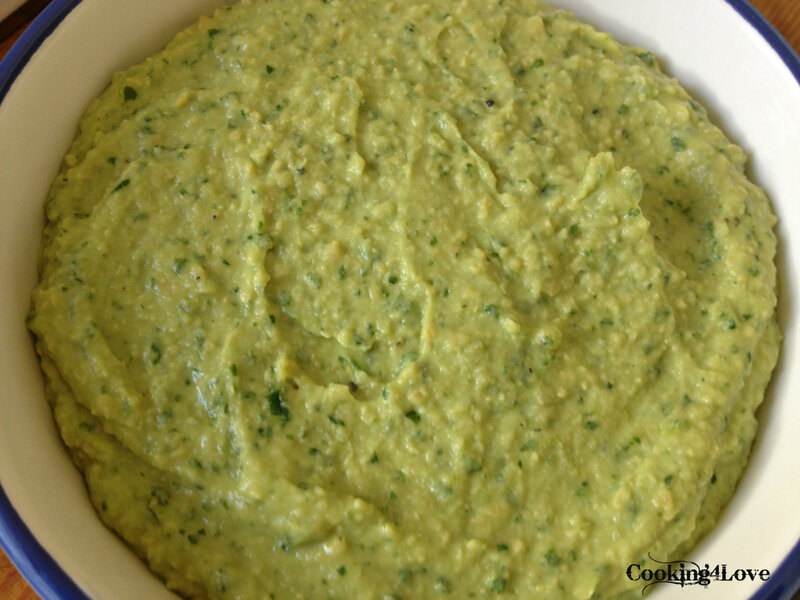 In a food processor, combine garbanzo beans, avocado, cilantro, garlic, Tahini, lemon juice, and salt. Process until smooth. With machine running, add olive oil through feed tube in a slow steady stream, then add water, 1 tbsp. at a time until oil is incorporated and mixture is very creamy. Add cayenne, if using, and pepper to taste, and stir well. Serve with pita bread, chips and/or vegetables. This entry was posted in Appetizers, Recipes, Snacks, Vegetarian and tagged avocado, cilantro, garbanzo beans, hummus, lemon juice, tahini, vegetarian. Bookmark the permalink.